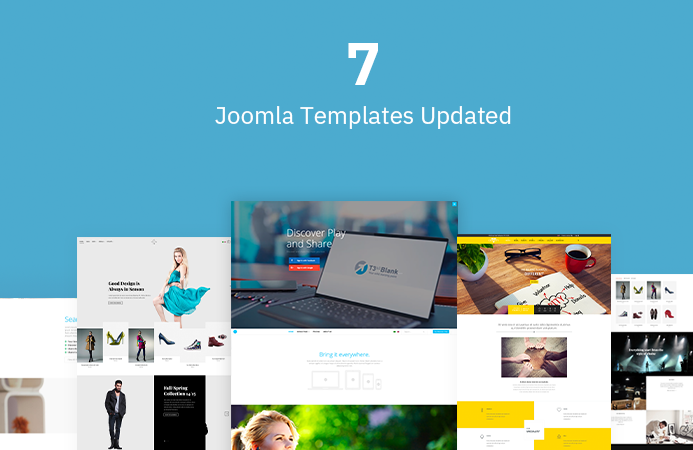 We have recently upgraded 16 more templates and 8 extensions to be compatible with Joomla 3.0.3, adding to our current collection of 11+ Joomla 3.0 templates. Below we have the new upgrades available, please enjoy. 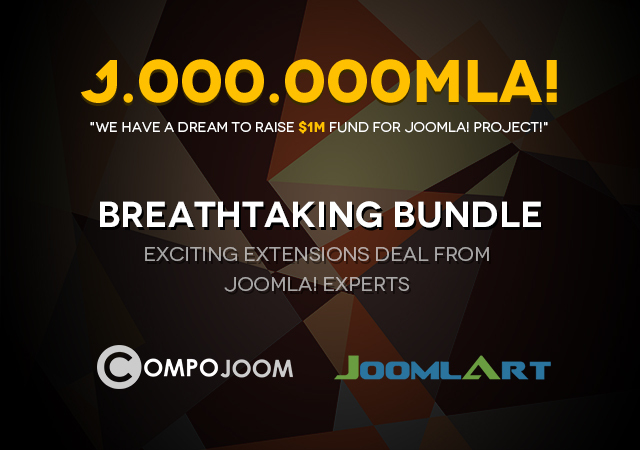 Save $200 in a bombdiggity bundle deal between CompoJoom and JoomlArt - Big time saving! 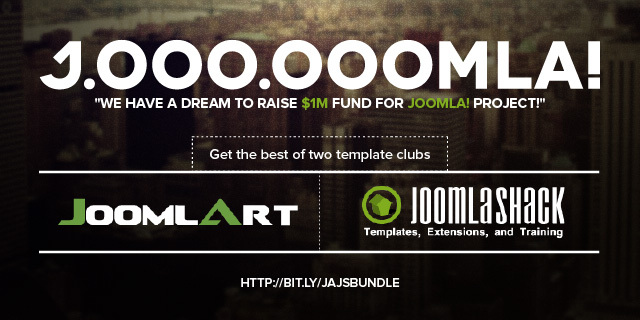 It will never be enough with Joomla Humble Bundles. Rolling now a new bombdiggity deal with our special partner - Compojoom. In this deal, we continue to offer our best-selling subscription JATC 1 year and Compojoom joins us with their Developer Bundle. 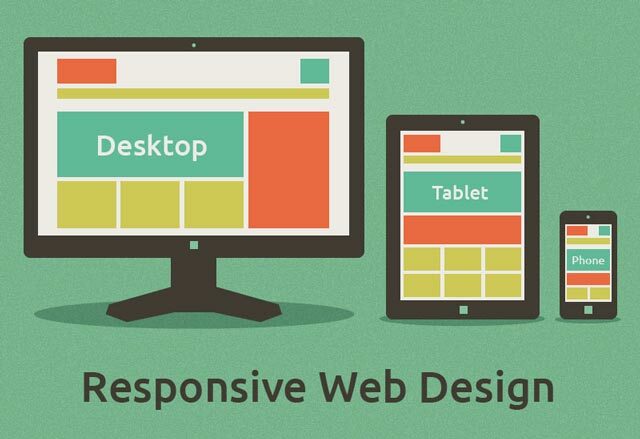 There was a very interesting blog post "10 web design trends that we can expect to see in 2013”. Out of those ten, four of the predicted trends caught my attention and they seem to be trending pretty well as the year 2013 is progressing. Hey Ho here come the Jumbo! Ok, it’s not the legend Jumbo the Circus Elephant that you use to know. It’s the Jumbo Bundle! 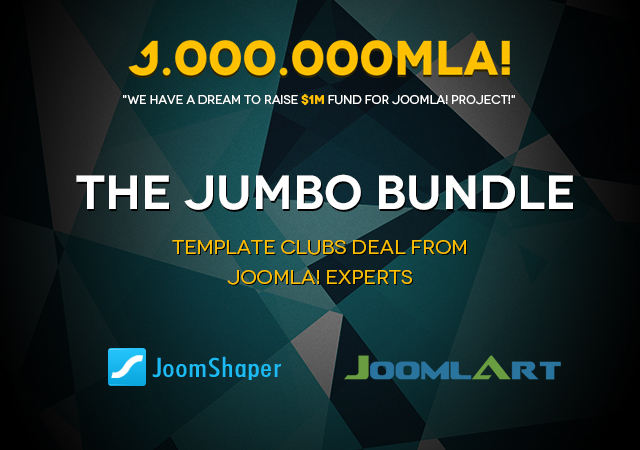 Keep up with the series of Joomla Humble Bundle deal, we offer you the Jumbo Bundle, featuring JoomShaper and JoomlArt. In this deal, we throw in our best-selling template club subscriptions and promise to bring you the best Joomla templates on the market. This February, along with the release of our monthly Joomla template JA Mitius, we are glad to release the latest version 1.1.0 RC2 of our T3 Framework compatible with Joomla 2.5 and Joomla 3.0. 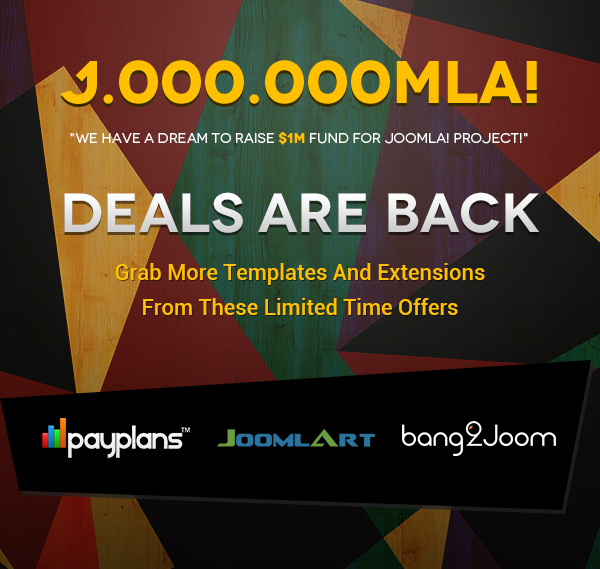 After a short break from the crazy extensions deal week with our two expert partners Techjoomla and corePHP, we are back with an amazing exclusive Developer deal for you in partnership with JoomlaShack - one of the top template clubs in Joomla!. 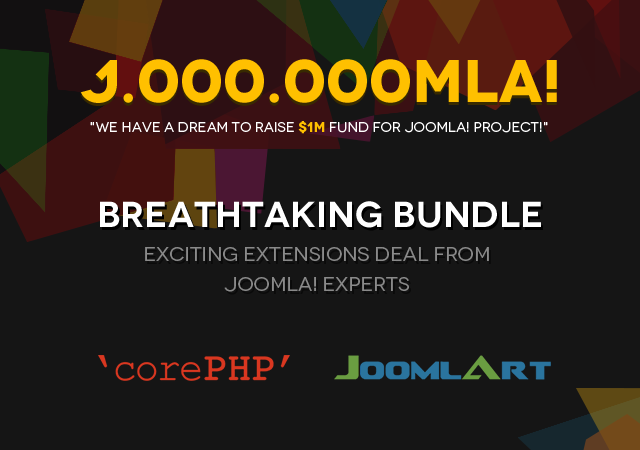 Joomla Humble Bundle - Breathtaking Extensions deal featuring 'corePHP' and JoomlArt! Update 28 Jan 2013: Little too late, this deal is over. The extensions marathon deal continues. With the increasing number of subscribers just few days after running the Hot Joomla Extensions Deals between Techjoomla and JoomlArt - which will end in 48 hours, we know you are thirsty for more extensions. You don't have to wait long, more extensions are here for you to choose from. 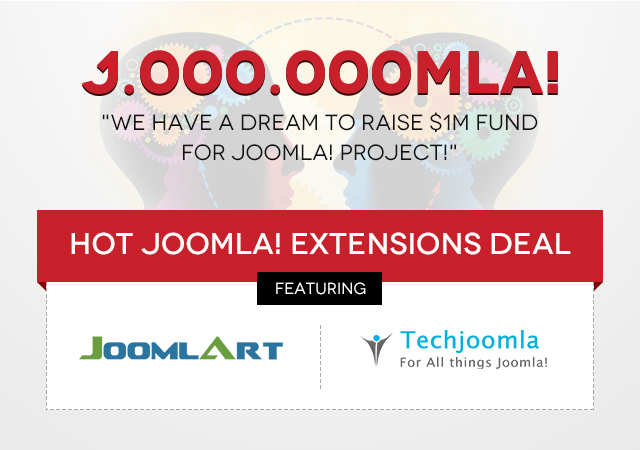 Our experienced Joomla developer friend 'corePHP' with years of experience in providing top-of-the-line products and services agreed to join hand to the Joomla 1M dream with their most popular extensions. 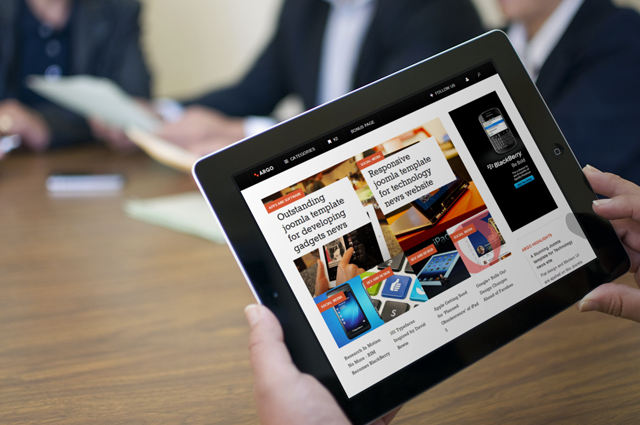 For a complete and ultimate user experience, JoomlArt would bring on JATC and JAEC memberships. We know you have enjoyed our training session and a chance to discover different CMS with last week's special hot deal between JoomlArt and OStraining. With the professional tutorial provided, you would have 6 months to discover and enhance your experience of Joomla, Drupal and Wordpress with the membership at Joomlart, Themebrain and DesignWall.